Shiro Tokiwa was born in Fukuoka. He started his career as a freelancer director in 1999. Besides working as a director and screenplay writer of film, advertisement, and animation, he also works as a designer of CD jackets for the Japanese singer Yosui Inoue. His short film "Crayfish", made in 2010, received a Best short Award and an Audience Award at the Short Shorts Film Festival & Asia 2010. 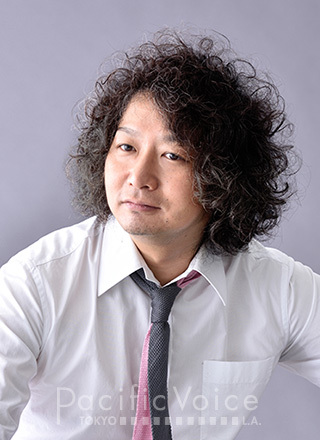 He is active in various fields, having created the music video "Winding Road" for Elephant Kashimashi, a promotion video for the X-Box game "GEARS of WAR," and commercial clips for Nissan Motors "N-Links, Oh Reiji Abe, " and Sapporo Beer "Nectar Sour." NISSAN "N-Link, Oh Reiji Abe"
NHK "SUTEKI NI HANDMADE" opening etc. ITSUJI ITAO & KAZUNOBU MINETA "MUSIC"